The Denver Nuggets enter the offseason full of hope. Their 33-49 record may not be eye-popping, but considering they were a young team, with a new head coach and a rookie point guard, it’s a solid mark, especially when you factor in the myriad of injuries they were forced to deal with all season. The Denver Nuggets now make their way into an extremely important offseason. With three first-round draft picks, they have the assets to significantly alter the future of their franchise. 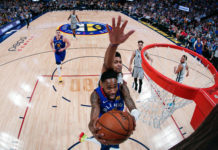 The Denver Nuggets own the right to swap picks with the New York Knicks, stemming from the Carmelo Anthony trade in 2011 that sent the disgruntled superstar from Denver to New York. The Nuggets are currently in the ninth slot in the lottery, while the Knicks are in the seventh. This pick swap could have massive ramifications based on how the lottery process works. Essentially, the Nuggets now have two opportunities to jump into the top three, if not win the lottery. But I will touch on that later. The Rockets, by the grace of the basketball gods, fell into the eighth seed in the Western Conference, earning themselves a playoff spot and transferring their pick to the Denver Nuggets. Houston will forfeit their first round pick (15th overall) to the Nuggets from the Ty Lawson trade, who the Rockets have already cut. Despite losing four of their five starters from last year’s team, the Blazer’s shocked everybody and earned a playoffs spot, thanks to a fantastic year from their dynamic backcourt of Damian Lillard and C.J. McCollum. 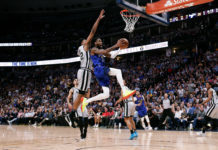 Consequently, the lottery-protected first rounder the Blazers sent to the Nuggets in the Arron Afflalo–Will Barton trade will transfer to Denver this offseason. Now, with over a season to review, it’s hard to deny the Nuggets won that trade. Yes, the Trailblazers are the ones in the playoffs, but Afflalo is no longer a part of that team; Barton and the 19th pick look as if they’ll play a significantly larger role for the Nuggets going forward. When Tim Connelly traded Randy Foye away to the Oklahoma City Thunder, I don’t think anybody expected him to receive the type of haul he did in return — D.J. Augustin and two future second-round picks — but we’ll take it. Augustin was a great addition for the Nuggets, filling in for, and playing along side, Emmanuel Mudiay. And those second-round picks give Connelly two more opportunities to steal an overseas player in the second round. 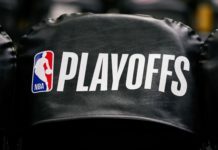 Despite the fact that the Memphis Grizzlies were one of the most injury-riddled teams in recent memory, they managed to sneak into the playoffs as the No. 7 seed, keeping their heavily protected pick in the process. While the pick will not convey this year, it’s only protected one through five next season, which means the Nuggets are in good position to grab another additional pick next offseason. Thanks to the New York Knicks pick swap, the Denver Nuggets have additional odds in this year’s NBA Draft Lottery. Combined, the Nuggets and Knicks have a 21.8 percent chance of jumping into the top three and a 6.2 percent chance of winning the lottery. 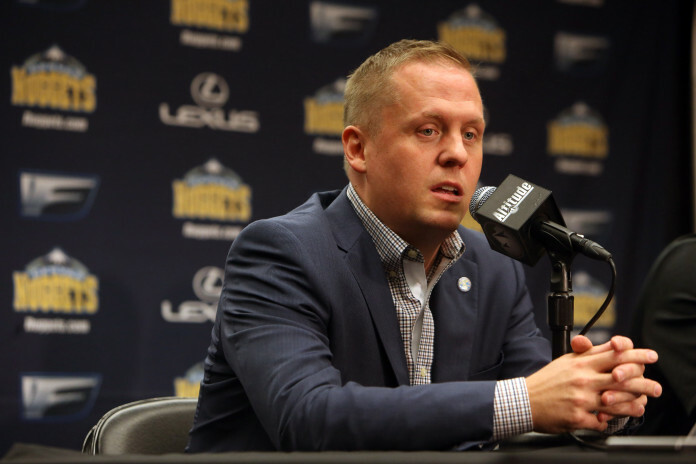 With five picks in this year’s draft and even more overseas talent waiting to come over (Nikola Radicevic), the Nuggets could have an influx of talent this offseason. According to Chris Dempsey of the Denver Post, though, the likelihood of the Nuggets actually using all of their draft picks is fairly small; more likely than not, they’ll package them as part of a larger trade. What that means, only time will tell. This offseason has a ton of different moving parts, but one thing is for sure: It is going to be a crazy ride for Nuggets fans.